Start Licensing’s Ian Downes takes the column to Bristol, Manchester and Liverpool this week. It was a bit of The Licensing Lookout: The Tour last week. Quite apt as it seems one of the current bright spots in licensing is the growth in live events, exhibitions and experiential licensing. My first stop was Bristol. I was visiting our client Aardman and was lucky enough to visit the film set for work in progress, Farmageddon – the second Shaun the Sheep feature film. It is always good to see the Aardman production team in action and, in particular, observe the craft that goes into the film-making. We were able to take some licensees on the tour and this reminded me how important it is to connect licensees with IP they are going to use. It is easy to be focused on the deal and to forget the brand. By having licensees visit the film set, they were able to experience the making of the film at first hand and in turn this inspires fresh thinking. Too often we rely on clips and Powerpoints to sell when it makes sense to allow partners to experience the brand. 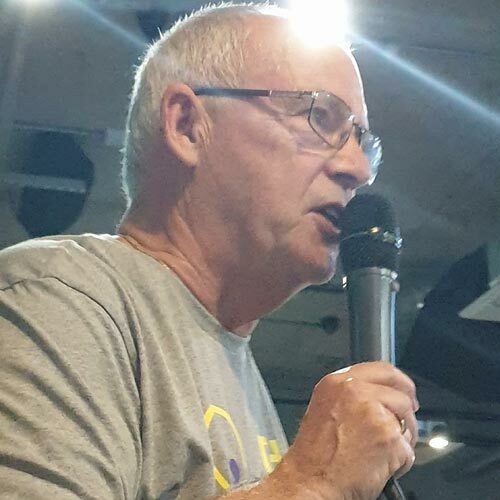 David Aykroyd revealed his hidden talent as an auctioneer at the Northern Light Fund Quiz Night. Later in the week I travelled to Manchester for The Light Fund quiz. It took place at the Hotel Football near Manchester United’s Old Trafford ground. The quiz was a great success and raised over £12,000 for the charity. David Aykroyd revealed his hidden talent as an auctioneer. If the bottom ever falls out of his pyjamas I am sure Sotheby’s will come knocking. Hotel Football is a themed hotel not surprisingly focused on football. The bars and rooms have football-themed décor interspersed with photographs and artwork. The theming includes in-room touches like football packaging for toiletries. Whil this hotel is not based on a licence it was a good case study for the potential in themed hotels. It is not a leap to imagine IP owners being inspired by this to think how their IP could be used in the hotel sector. Of course, many IP owners are already tapping this trend but I can see more potential in it. Indeed, it won’t surprise me if Hotel Football franchises the concept in other cities and territories. In fact I do know there is a suitably sized space in Bermondsey adjacent to Millwall’s ground. What a venue that would be! The Charles Rennie Mackintosh exhibition at the Walker Art Gallery in Liverpool is well worth a visit. From Manchester I popped over to Liverpool, leaving from Manchester Victoria. This is a station that is worth visiting just to see the lovely architecture and the war memorial inside it. While we are all busy working it is always worth taking a moment to look around us. It can also inspire creative thinking. 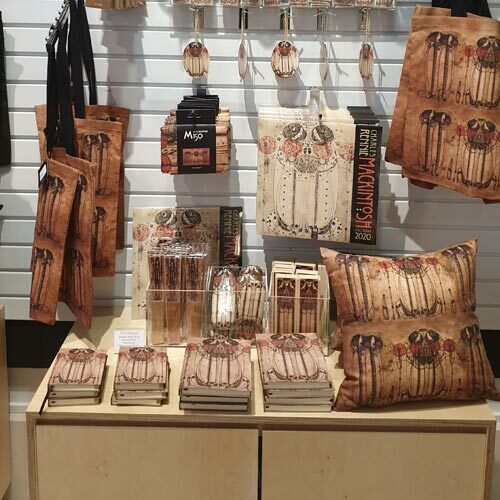 The gift shop that accompanied the exhibition was well stocked and featured licensed products. My first port of call in Liverpool was at the Charles Rennie Mackintosh exhibition at the Walker Art Gallery. 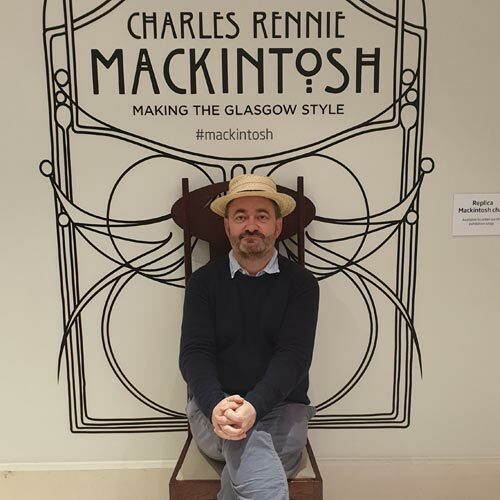 The touring exhibition told Mackintosh’s story well and was well curated with a lovely selection of exhibits including original pieces of furniture, draft artwork and other features such as decorative doors. It was a celebration of his distinctive work. The gift shop that accompanied the exhibition was well stocked and featured licensed products. This was a great showcase for art licensing and it will be interesting to see if this exhibition kick starts other partnerships. It certainly provides a wonderful window into some very original design work. 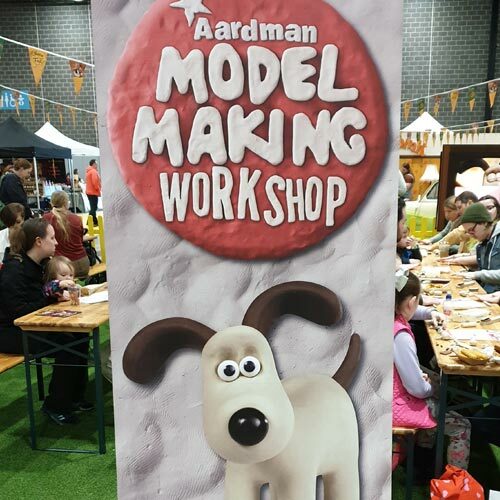 Aardman was running a model making class at CheeseFest in Liverpool. In Liverpool I also attended the CheeseFest at the former Liverpool Arena, now called the M&S Bank Arena. The CheeseFest is a long standing event that celebrates all things cheese and features demos, trade stalls and sampling. This year the event has blended in a new theme by working with Aardman to feature Wallace & Gromit in the brand’s 30th anniversary year. There is a natural crossover. Aardman has worked with the CheeseFest to create a themed area with some play features and signature items like Wallace’s living room. Other features include a replica bakery van and an inflatable moon rocket coupled with plenty of photo opportunities. A further aspect of the partnership is that visitors can take part in Aardman model making classes run by the Aardman team. It was fantastic to see so many families having a go at making their own Gromits and it was clear that the link with Aardman was a crowd pleaser for the CheeseFest. Rainbow Productions' md David Scott was on hand to check all was well with the new Wallace & Gromit costume. The event also saw the public debut of a new Wallace & Gromit costume. The costume – developed by Rainbow Productions – features a puppet Gromit alongside Wallace – effectively creating two costumes from one. This helps financially and logistically but also helps with the performance of the characters. It is good to see long standing and expert licensees prepared to invest in NPD in terms of their core product offering in order to offer the market something new and to respond to new trends. Rainbow Productions went the extra mile and its md, David Scott, was on hand to check all was well with the costume. It was, and it proved really popular with visitors. One young fan even turned up dressed more like Wallace than Wallace! Have a look on the CheeseFest’s Twitter – it is a really lovely photo. 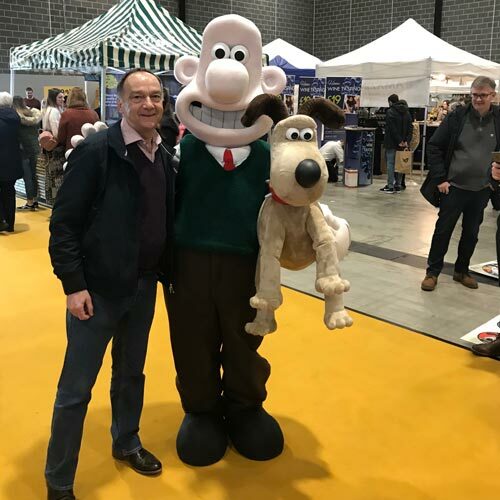 The CheeseFest, working with Aardman and using Wallace & Gromit, is a good example of how licensing can be used creatively in new channels and, of course, add value to events. As noted before, experiential licensing offers great potential. It is a forum where the power of licensing can be deployed to full effect. Talking of the power of licensing you will recall that ‘my’ horse House Island was presented with a Thelwell blanket recently. He proudly wore this licensed product around the stables as he prepared for his next race. It seems to have worked wonders as he won a listed race on Friday at Newbury at 40 to 1! Licensing works.